Self-discipline helps us do the work we need to do, even when we don’t feel like doing it. It helps us get up in the morning and it helps us push ourselves and focus through challenges and distractions that can ultimately hinder our success. Just like our bodies, the more you train and condition yourself, the stronger you become. It’s the same thing for self-discipline. It takes time and patience to develop and strengthen the skill of self-discipline. It is something we can all improve upon if we are willing to work hard and put it into daily practice. This is where Bernardo Karate comes in. At Bernardo Karate we teach self-discipline in a fun and positive environment. Learning and developing self-discipline in karate class leads to improved confidence, focus and behaviour which translates to better grades at school or more productivity at work. 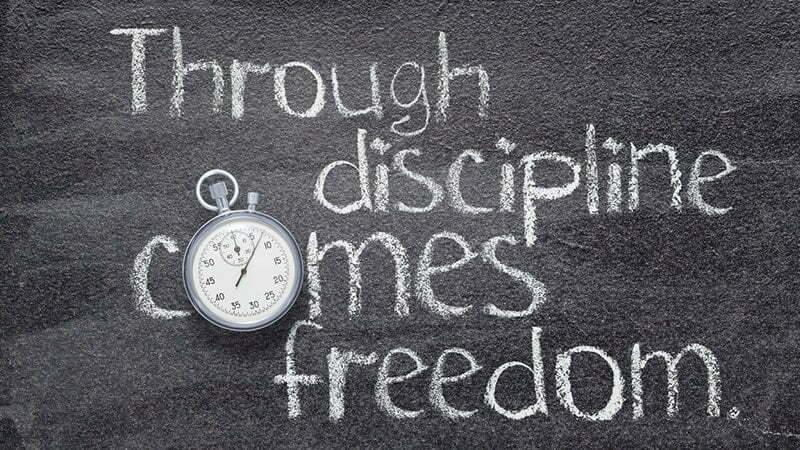 Another definition of self-discipline is the ability to not give up, despite failures and setbacks. Our Bernardo Karate programs focus on teaching our students healthy habits and the skills they need in order to be successful in life. We start with small simple goals and daily practices and from there build a strong foundation of consistent habits and disciplines. All of these things lead to confidence, motivation and perseverance to not give up and quit when things get tough or don’t go your way. And if there is a failure or setback, our students who develop and practice daily self-discipline invariably bounce back the fastest. Our Bernardo Karate Instructors will encourage and motivate YOU! You will develop willpower and a strong belief in yourself that you can accomplish anything you set your mind to. Not just because you ‘think’ it, but because of the daily practices, habits and routines you will develop each time you come to a Bernardo Karate class. There is no doubt, SELF-DISCIPLINE takes practice. Daily practice. No matter what your age is, the focus and repetition and application that comes with learning at Bernardo Karate is invaluable to developing self-discipline which can benefit all areas of your life.